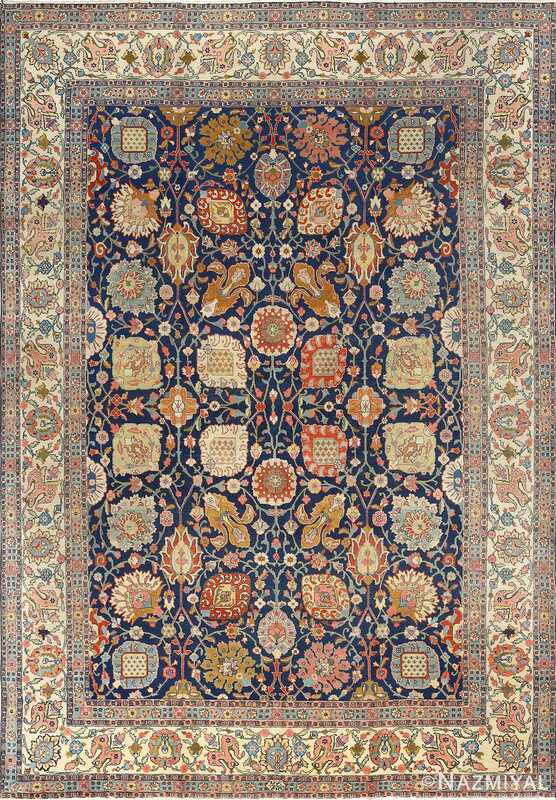 This masterful antique Hajijalili Tabriz from Persia has a grand star medallion with cornerpieces in the classic Persian tradition. 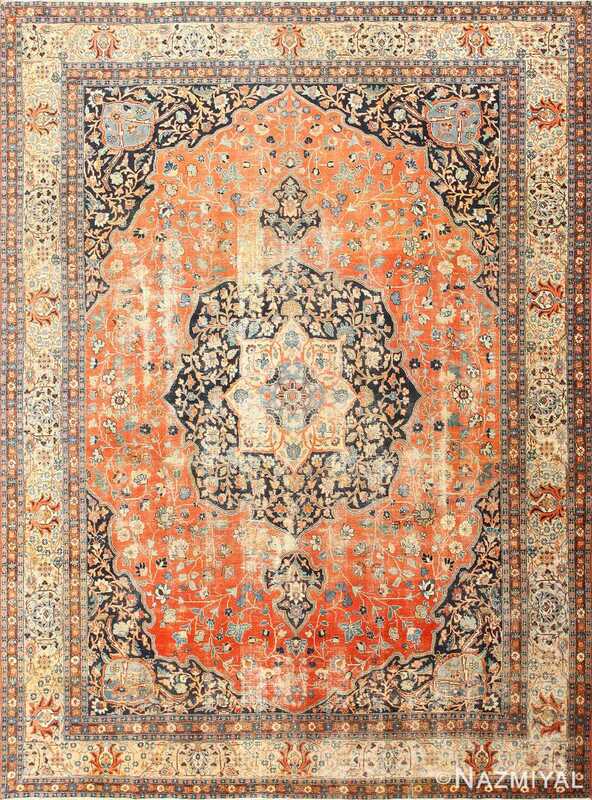 Antique Persian Tabriz Rug, Country of Origin: Persia, Circa DateLate 19th Century – Though focused on a grand star medallion with corner-pieces in the classic Persian Rug, tradition the rich and fine tracery of vines and flowers in the field insures that the main elements do not dominate the design of this masterful antique Persian Tabriz rug. The uniform texture of the minor elements all across the surface makes the overall effect subtler, with the medallion distinguished from the celadon field primarily by its soft brown color. 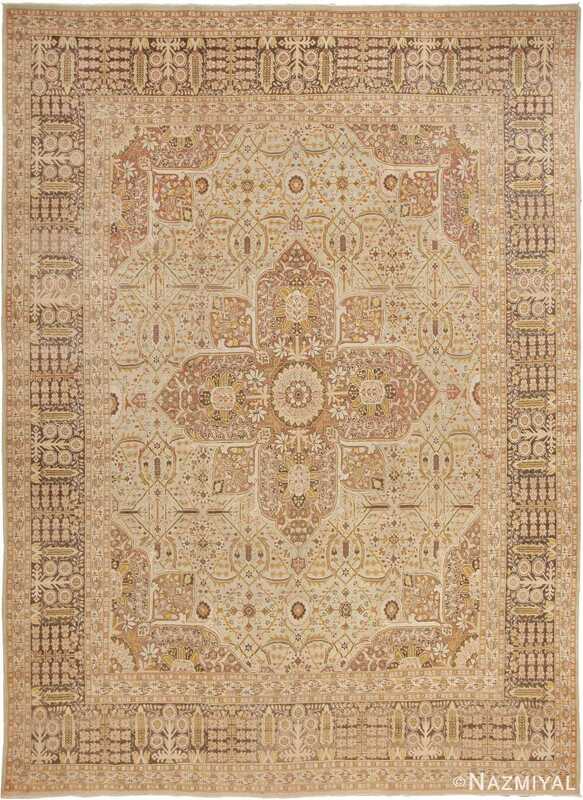 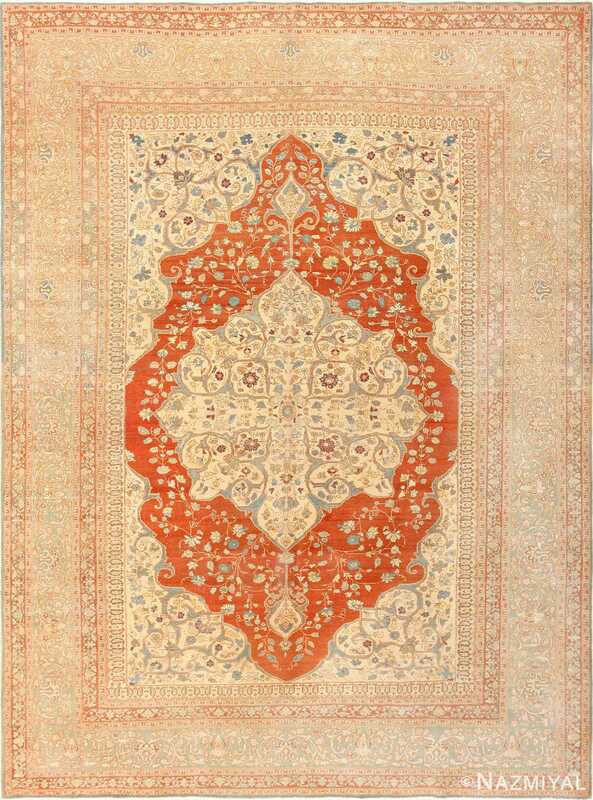 As with any masterpiece, the more looks, the more enjoyment and fascination this rug has to offer.